Give your favorite bag a facelift in seconds by adding a few accessories. Adding trendy trinkets or a scarf gives a classic bag extra flair. 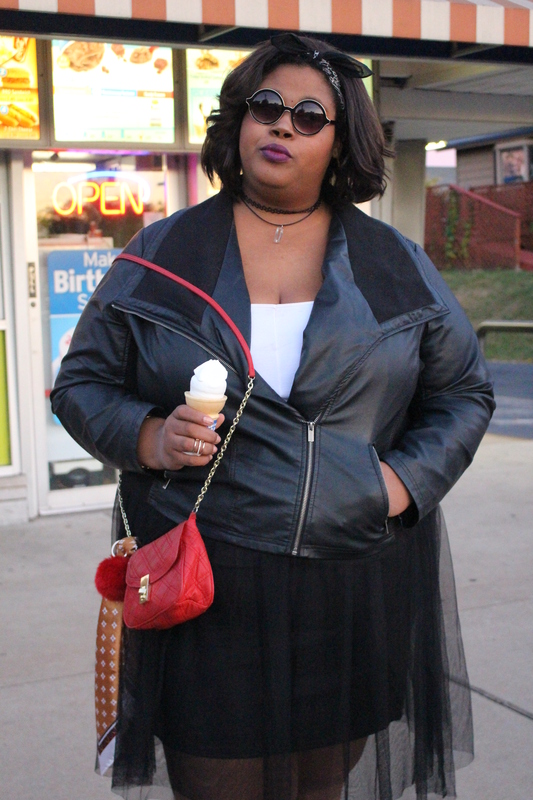 Style notes: The skirt is Forever 21+, the Jacket is Ava&Viv. The bag is old but from Charming Charlie’s. Sunnies are by Aldo. how freaking cute is this?! love the look hun!! And so easy too, it’s like damn why didn’t I think of that!! Thanks for the tip boo! You know I got you! I cannot wait to go in on some bags – ahhh! !